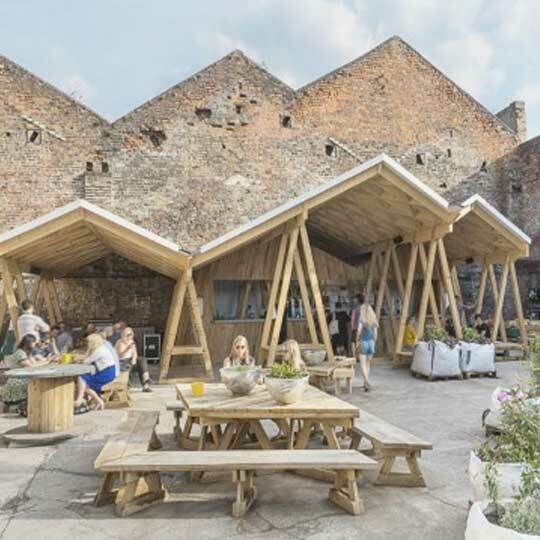 Designed and constructed in collaboration with Hugh Miller, a designer and furniture maker, Constellations is an outdoor venue which includes a bar, food truck, art space and community garden. 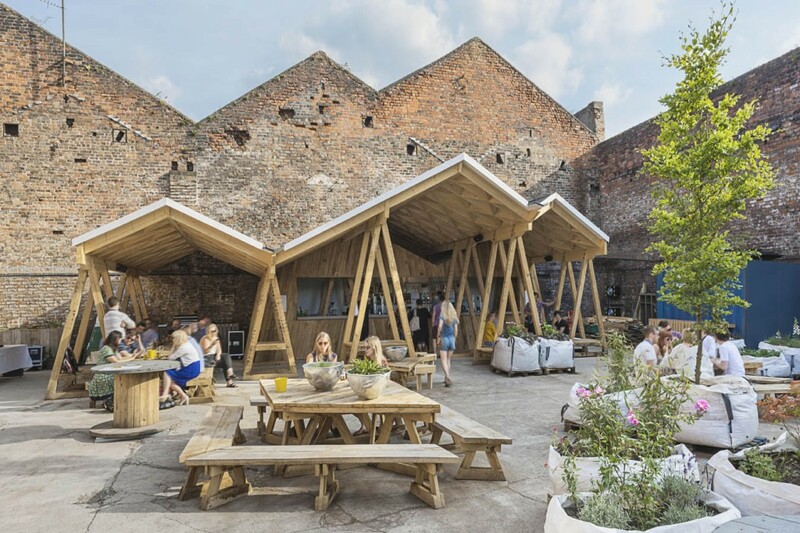 Located in Liverpool’s creative quarter, the Baltic Triangle, the project occupies a disused industrial recycling yard. 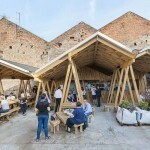 The design takes inspiration from the site; an enclosed brick courtyard created when the roof of a former warehouse burned down in the 1980’s. 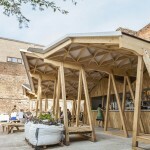 The remaining gables provide a backdrop to the design and these pitches are reflected as a motif in the profile of the canopy. 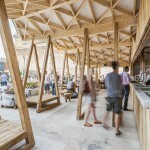 The structure is supported by a set of ten quadrapods – doubled A-Frame supports – made from green oak. 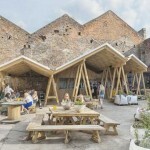 These have a dual function as each one incorporates bench seating or a table. 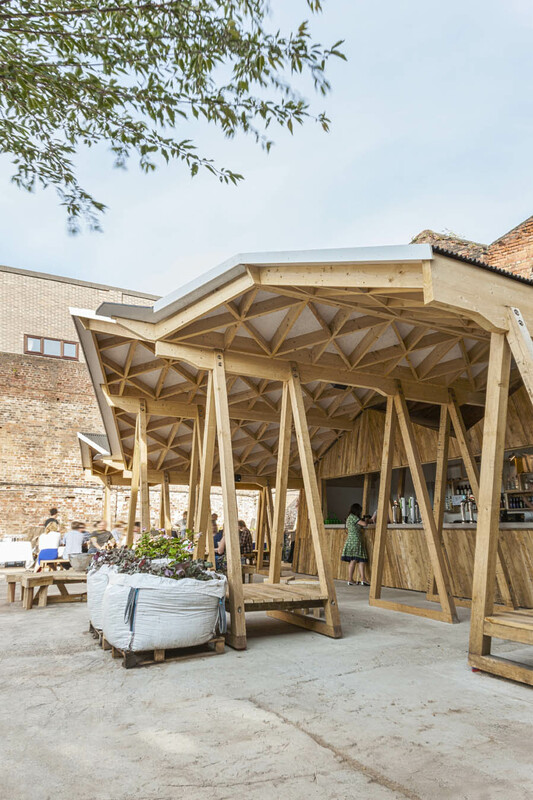 These quadrapods carry the load of the canopy via glue-lam beams which project from the roof to form a wing-shaped rain spout. 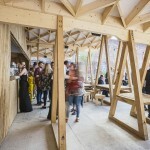 The courtyard garden is populated with green oak furniture, conceived as a set of tessellating components, and planted one-tonne builders bags. 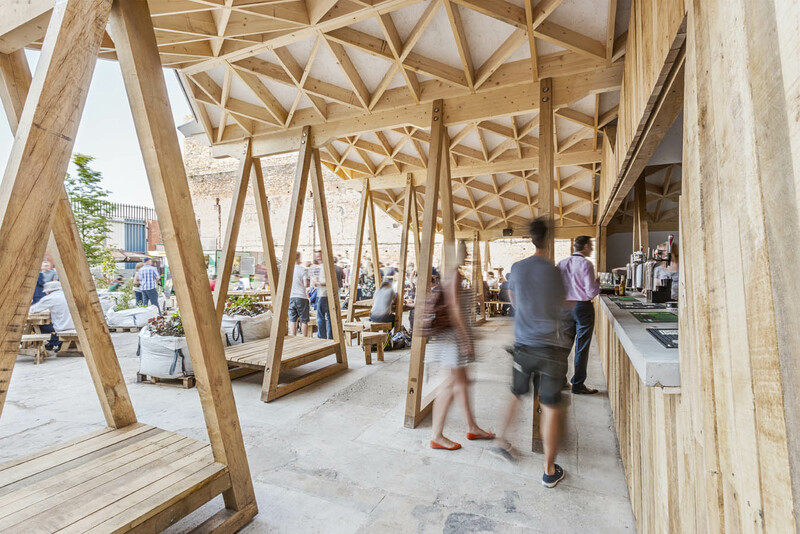 These are easily movable, allowing the space to be reconfigured to accommodate the rolling program of arts events, performances, cinema screenings and markets. 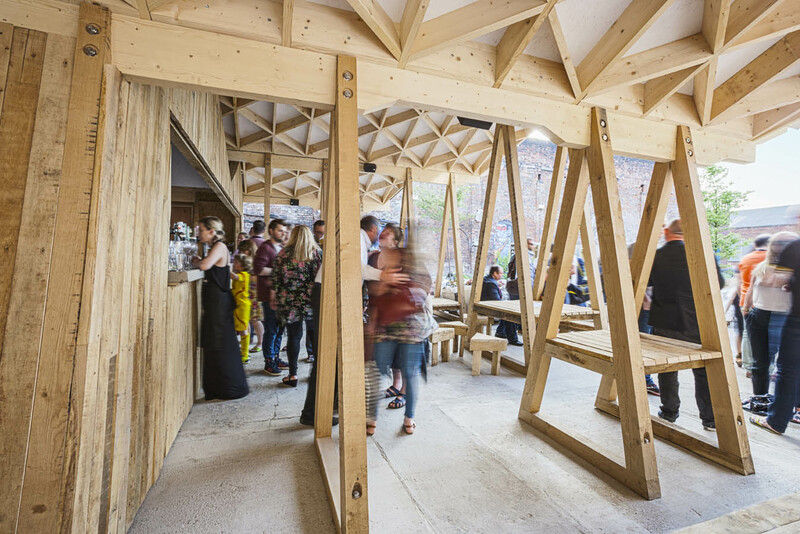 The project won a Wood Award, and was shortlisted for AJ Small Projects and a RIBA award in 2015. 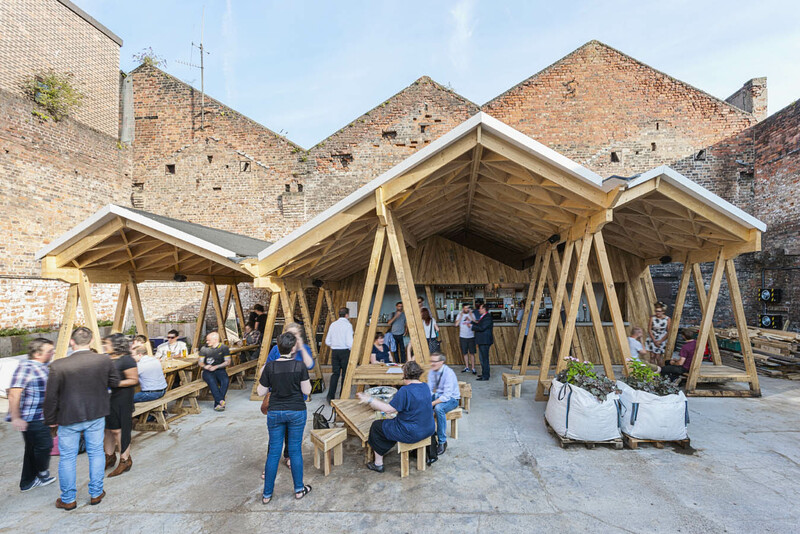 Constellations has been featured on Dezeen, ArchDaily, and is regularly used as the poster boy for the Baltic Triangle.